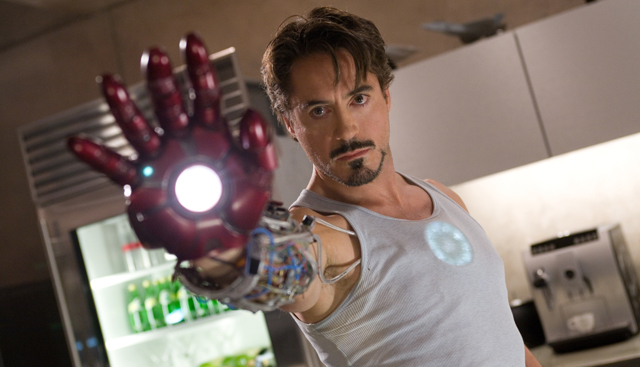 Could a potential Iron Man 4 mark the end for Robert Downey Jr.’s Tony Stark? Next week’s release of Anthony and Joe Russo’s Captain America: Civil War marks Robert Downey Jr.’s seventh big-screen appearance as Tony Stark. What’s more, it has already been confirmed that Downey is set to reprise the role again for next summer’s Spider-Man: Homecoming. Now, as part of an ABC News report on Civil War, the two-time Academy Award nominee teases that we may yet see an Iron Man 4 as well. “I feel like I could do one more,” says Downey when asked about a potential Iron Man 4 down the road. Of course, just because the potential exists for an Iron Man 4, that doesn’t necessarily mean that the sequel will happen. Back in the fall of 2014, Downey suggested that an Iron Man 4 was on the way on an episode of The Ellen DeGeneres Show. He later clarified that he wasn’t specifically talking about an Iron Man 4, but rather his return for Civil War. Civil War finds Steve Rogers (Chris Evans) leading the newly formed team of Avengers in their continued efforts to safeguard humanity. But after another incident involving the Avengers results in collateral damage, political pressure mounts to install a system of accountability, headed by a governing body to oversee and direct the team. The new status quo fractures the Avengers, resulting in two camps—one led by Steve Rogers and his desire for the Avengers to remain free to defend humanity without government interference, and the other following Tony Stark’s surprising decision to support government oversight and accountability. Directed by Anthony and Joe Russo from a screenplay by Christopher Markus & Stephen McFeely, Captain America: Civil War will debut in theaters on May 6, 2016. Would you like to see an Iron Man 4 or would you rather continue to see Downey appear in other MCU films instead? Let us know in the comments below and check out the full ABC video in the player below! Tags: captain america: civil war, Iron Man, robert downey jr.